This cover makes me want to read the book. Right off the bat I know that something has gone terribly wrong in the world. The cover looks barren like a wasteland. I want to find out what event happened to cause the world to look like this. I also want to know what the world is like now. How bad is it? The dust whips around that poor girl as she struggles to walk forward. Her positioning to the right shows me that she has already walked across the distance shown on the cover. Her bent head and the position of her legs tell me that she will continue walking, even if her journey is difficult. I like her already. The title is epic. I immediately conjure up images of a long and difficult trek filled with violence and hardship. The word "road" in the context of a post-apocalyptic story triggers an instant association with Cormac McCarthy's horrifying (and excellent) adult post-apocalyptic book simply titled The Road. For me, this is a very good association to evoke. The red in the title font is the perfect touch of color. Red, especially in this context, makes me think of blood and violence. The rest of the cover looks like all of the color has leeched out, which adds to the effect of a world fallen. The combination is terrifying. 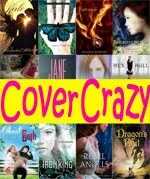 Click here for more of my cover reviews! 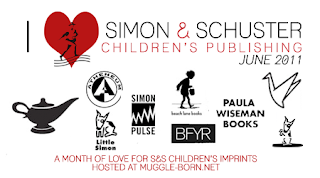 This cover review is posted as part of Simon & Schuster Month hosted by Cialina at Muggle-Born.net! 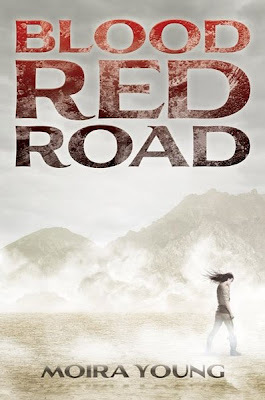 Blood Red Road is published by the Simon & Schuster imprint Margaret K. McElderry. The cover seems very fitting. It's stark and painful - which seems much like the book. I like that it's a bit different from most YA covers. Huh. Wow. Weird. I JUST NOTICED SABA ON THE COVER. .... but before I read that in your post, I was going to say that I'm not such a big fan of the cover. IDK. It kind of struck me as adult. But you know what? I love this book so the cover doesn't really bother me anymore. And now, I'm going to think about why I hadn't seen Saba before. Hm. I love this cover too. It really makes me want to know what is hiding inside the pages. I also like the font and how the author's name has a shadow underneath. I love this cover, and yes it did make me want to read the book. I actually spent more money to order this US hardback cover. I'm in the UK and the UK cover is ugly- it's black with a picture of a bird on it. There was nothing about that cover that would make me want to pick it up! I know you shouldn't judge a book by it's cover, but hey, I'm shallow! I wanted to read this book immediately I saw that cover. It shouts out dystopian, which is a genre I love. I'm not sure I would have bought it if I'd just seen the UK cover - it's nowhere near as nice. The cover on this one has the opposite effect on me. It's so bleak, I don't want to read it. In fact I took it off my order list. I'm sorry because I've seen nothing but good reviews of it, but it just seems so dusty and barren. Put her next to the water and I'd be okay. Maybe because it reminds me that I'm leaving the beach and moving back to the middle of a state. Feeling landlocked. I don't know, but I'm a water girl. And this one is unsettling to me. I have to say that I like the cover but I don't find it spectacular. I like the heading and all, but the colors are a bit muted for me. I think you’ve said just about everything that can be said about this cover. It’s interesting, I would possibly pick it up in a store. 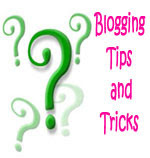 Thanks for sharing, and thanks for stopping by my blog. This cover got my attention right away and made me want to know more about the book. This cover is very thought provoking. It definitely has me curious about the story inside! You know, because of the muted colors, whenever I saw this cover online, I overlooked it. And the title had Blood in the title (I don't like blood) and the word Road (which reminds me something boring we'd read for school). But when I saw the corrugated display at the store and read the summary, the book sounds AMAZING! 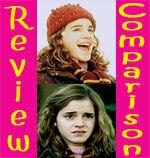 I looked it up on GoodReads and saw the main character compared to Katniss in spirit. I bought the book that day! Can't wait to read it! Alison, It does seem painful. I do like how it stands out among all the pretty dresses covers. Cialina, Huh, that’s weird! But something I’ve done before :P (actually, just today with the cover of Solid). I can see this cover appealing to adults, too. Nic, Me too. I want to find out about her struggles and why the world is like that. I agree about the font, too. It really works with this cover. The Slowest Bookworm, No, I agree. I wouldn’t have been at all interested if I had only seen the UK cover. The US one says so much about the world and makes me so curious. Heather, Oh, I can see that. It definitely screams “I’M SET IN A DEPRESSING POST-APOCALYPTIC WORLD!” and that isn’t at all happy. :P It seems so arid and bleak. I have heard good things about the book, but for me my hang up is the phonetic writing. I just can’t do that! Alisa, Thanks for returning the comment! Denise, It intrigues me too. I really want to find out what made her world so bleak. A Backwards Story, Interesting associations! The word Road always makes me think of Cormac McCarthy's book now. 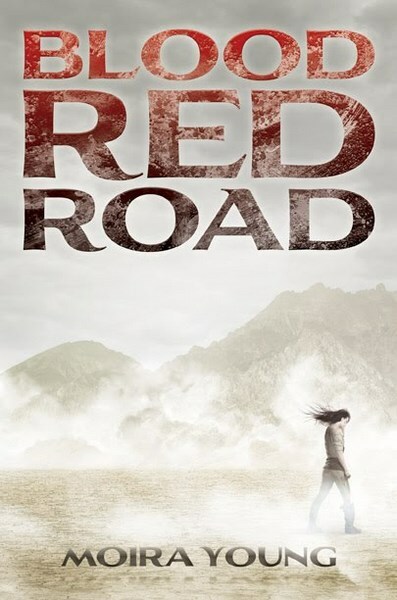 From all the reviews I've read, it seems like Blood Red Road is almost universally liked. I'm still a little worried about the writing style, but I'm very curious. Hope you enjoy it! Yeah, I don't think I'd be attracted to this cover so much because it looks like something I'd rather watch than read about. I feel like there will be too many contemplative sections since she appears to be alone. And I don't always like reading that. I do enjoy this cover a lot, especially the red in the title, it so realistically reminds me of blood. Everything you've pointed out is true and shows the girl is fighting the elements. What a great choice for this week. Lah, You're in luck then! The film rights have already been bought and I think Ridley Scott is even signed on. I haven't read the book yet, but I have heard that there's a lot of action and a group of other characters she's with. The cover does seem to be misleading then because it does give off the vibe of her being all alone. This cover is actually one that has never grabbed my detail but with how much detail you go into l actually like it now! I love this cover! It seems like it fits the story perfectly!